Many people say that Naxos has the best beaches in Greece and I would have to agree with them. 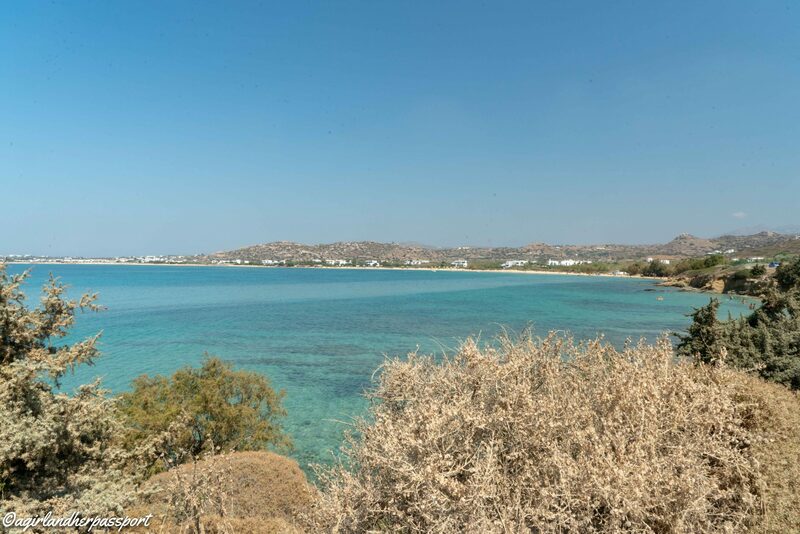 Not only are the Naxos beaches amazingly beautiful but there are many to choose from. Naxos is the largest island in the Cyclades and is accessible by ferry and plane. It is an excellent alternative to the more popular Santorini. Beaches in Greece can be either organized or unorganized. Organized usually means they are maintained and have umbrellas, chairs, and sometimes restrooms. Most of them have several tavernas or bars serving food and drinks. Unorganized means there are no facilities. Unorganized ones are usually further out of town but are usually less crowded. A few of the unorganized ones will still have a taverna or two but not always. Agios Georgios or Saint George beach is the beach right in the central town. You can walk there from the center in about 15 minutes or stay right next to the beach and walk there in less than 2 minutes. 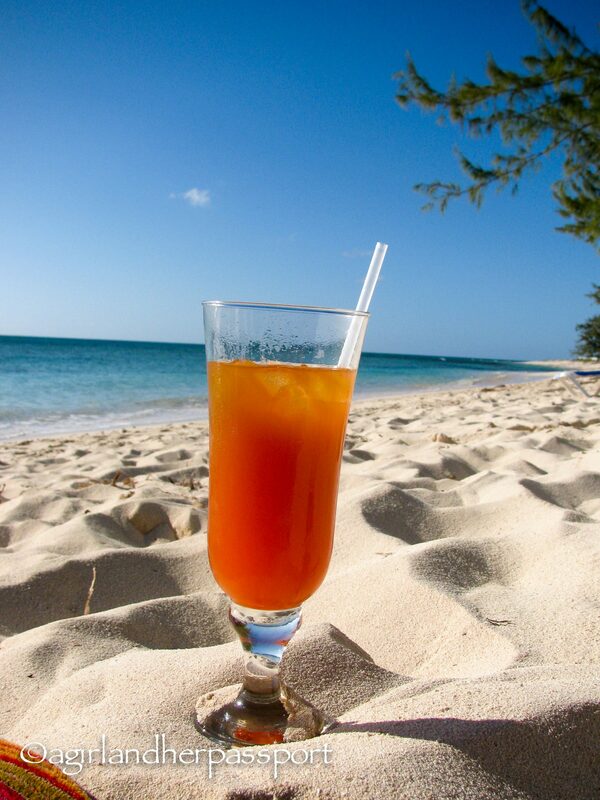 The beach is a good size and has plenty of options for tavernas and bars. The umbrellas and chairs are usually run by one of the restaurants or bars. Prices vary, and some will let you use them for free if you purchase something. The water is shallow closer to town, and it gets deeper further down the beach. The section that is shallow is shallow for quite a ways out, and you can walk out far before the water gets above your waist. Given that it is so close to town, the beach is more crowded than some others. The sand is also packed down until you get further away from town. Agios Prokopios beach is the first beach out of town. The water here is stunning. It is the perfect shade of turquoise that reminds me of the Caribbean. The sand is golden and soft although not fine sand. The beach is organized and is long, so there are lots of choices of places to sun yourself all day. To get to this beach take the bus from Naxos Town. The bus driver will announce the stops. You purchase your tickets from the bus station in Naxos town. You should buy a return ticket as well. 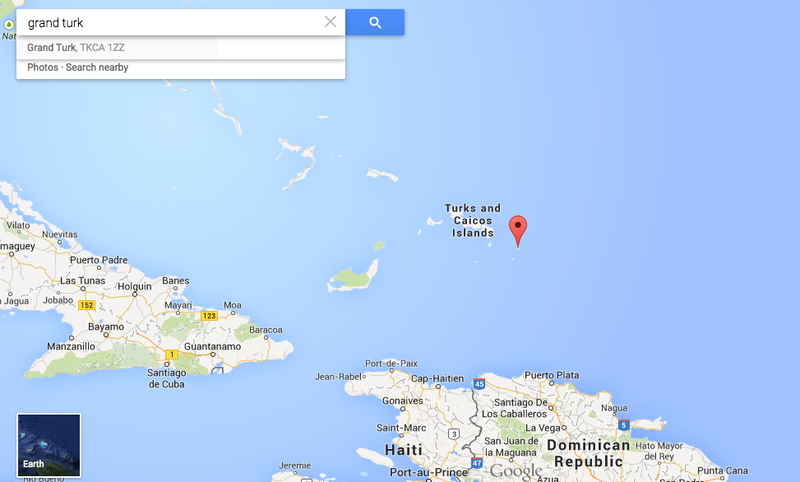 If you have rented a car, there is public parking about a 10-minute walk from the beach. The parking is before the beach. Not far from Agios Prokopios is Agia Anna beach. 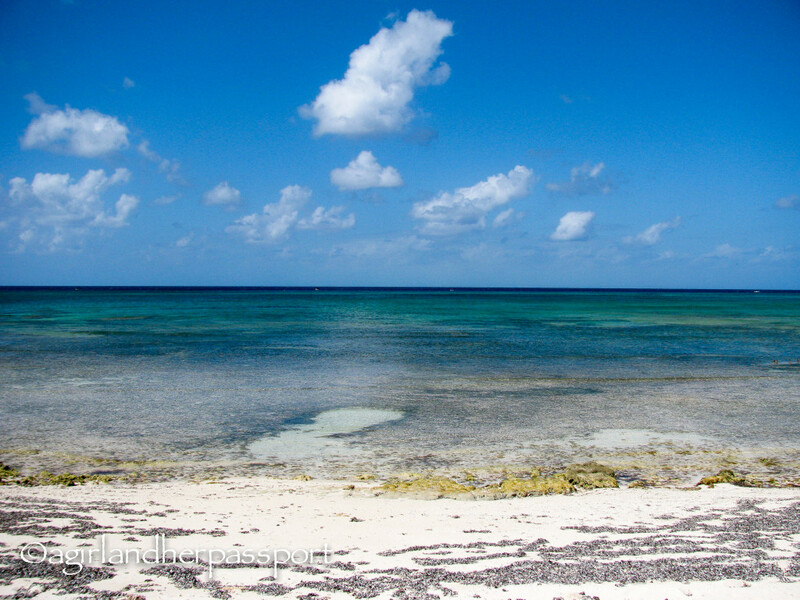 This beach is small, but the water is shallow making it a great place for kids and snorkeling. The beach is surrounded by cedar trees, so the unorganized part has shade. There is an organized section of the beach as well. Agia Anna is also reachable by bus from Naxos Town. The public parking for this Naxos beach is near the end of the beach. The entrance is not easy to see due to the trees though. 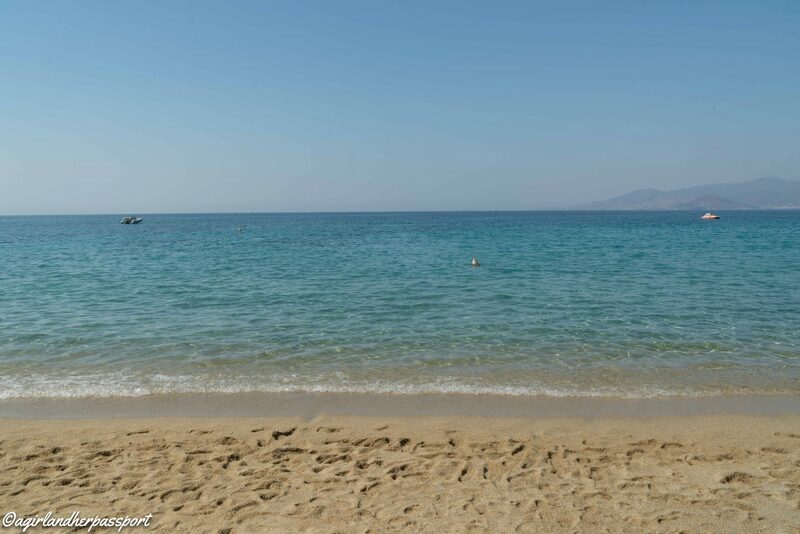 Plaka beach is one of the longest beaches in Naxos. The sand is fine and soft. The water is deeper here and has incredible color. Most of Plaka beach is organized, and you have many options of where to sit. The umbrellas and chairs are usually run by restaurants behind the beach and offer their full menu on the beach. 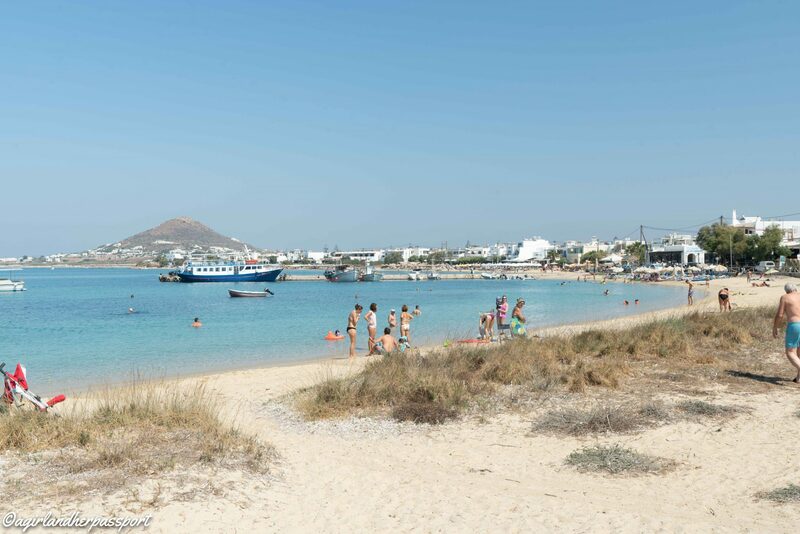 Plaka beach provides excellent views of Paros and the ferries running to and from Naxos. The bus also runs to Plaka and offers several different stops along the way. If you drive you should know that after Agia Anna the road changes to a sand road. The road is compacted so any car can drive on it. The road gets more narrow here, and you may need to go one at a time through some sections. My advice is to drive slowly. A good place to park is behind Picasso on the Beach restaurant. I hadn’t heard of Orkos beach and only spotted it on my road trip to discover all the Naxos beaches. I noticed it because it was so pretty. 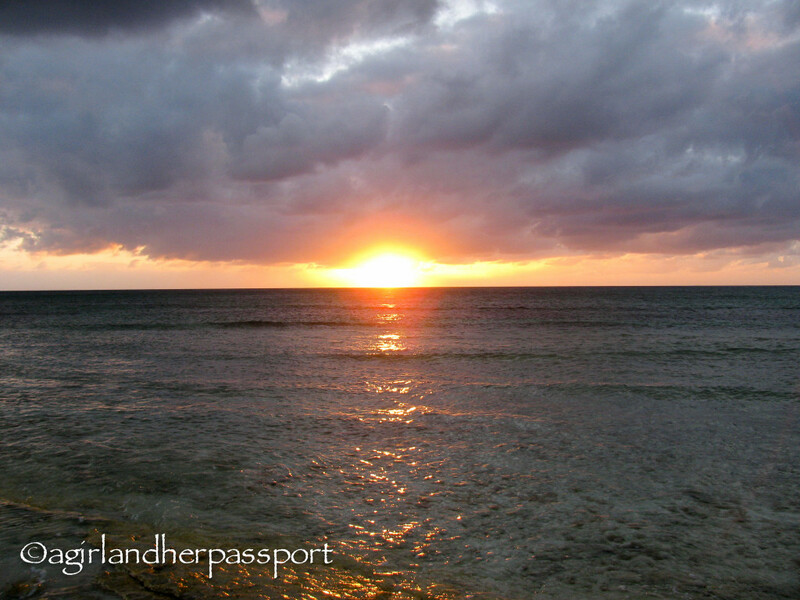 The beach is smaller than many of the other beaches, and it is unorganized, but it is worth visiting. Orkos has thick sand so you won’t have fine sand all over you. There is no bus access to Orkos so you will have to rent a car to get here. You can walk from Plaka if it isn’t too hot. Mikri Vigla is known for being the spot for kitesurfer and windsurfers in Naxos. 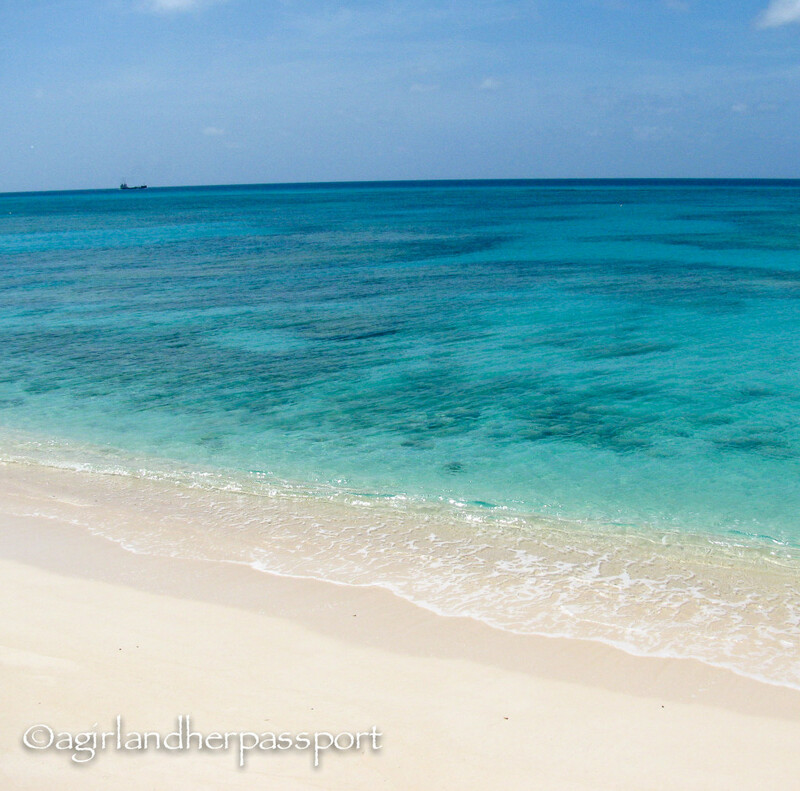 Of course, you don’t have to be a kitesurfer or windsurfer to enjoy this beautiful beach. The sand is fine white soft sand. The beach is organized, but the umbrellas and chairs are few, so arrive early if you want one. The bus does go to Mikri Vigla from Naxos town. It is also accessible by car, and there is parking along the road. 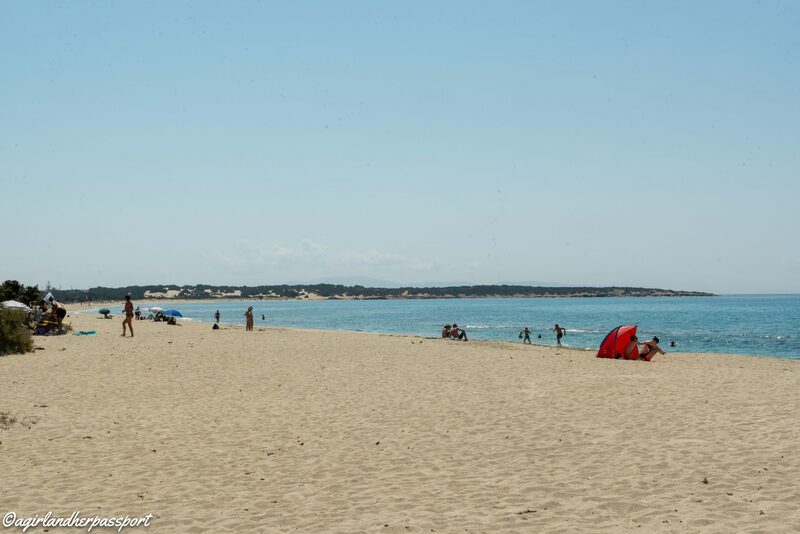 If you seek fewer crowds, then Kastraki beach is the beach for you! Due to its distance from town and the fact that it is a larger beach means there are fewer people and they are spread apart. The beach has beautiful soft white sand. While the beach is organized there are not many umbrellas and chairs. I recommend you bring your own so you can enjoy the quieter parts. You can drive or take the bus to Kastraki. There is a large parking area that is unpaved right next to the beach. You will have to walk through some small dunes to get to the actual beach so make sure you have shoes on to protect your feet from the hot sand. Another beach that is less crowded due to its location is Pirgaki. Pirgaki might Although it isn’t any less beautiful than the other beaches. 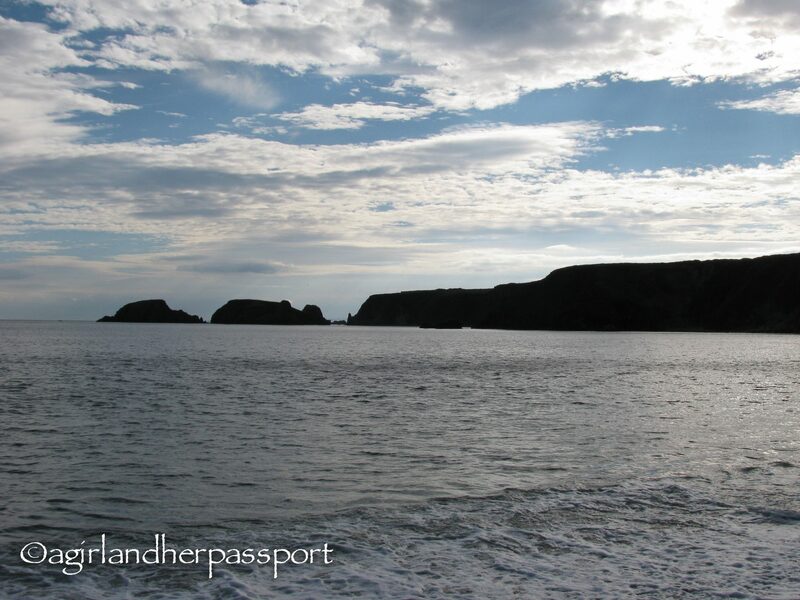 It can get windy on this beach, but offers great views and is frequented by windsurfers. The beach is organized but with a few umbrellas and chairs. There are a few cafes, but you might want to bring some drinks and snacks of your own just in case. The bus from Naxos Town goes Pirgaki although not as often as the other buses. You can also reach Pirgaki by car. 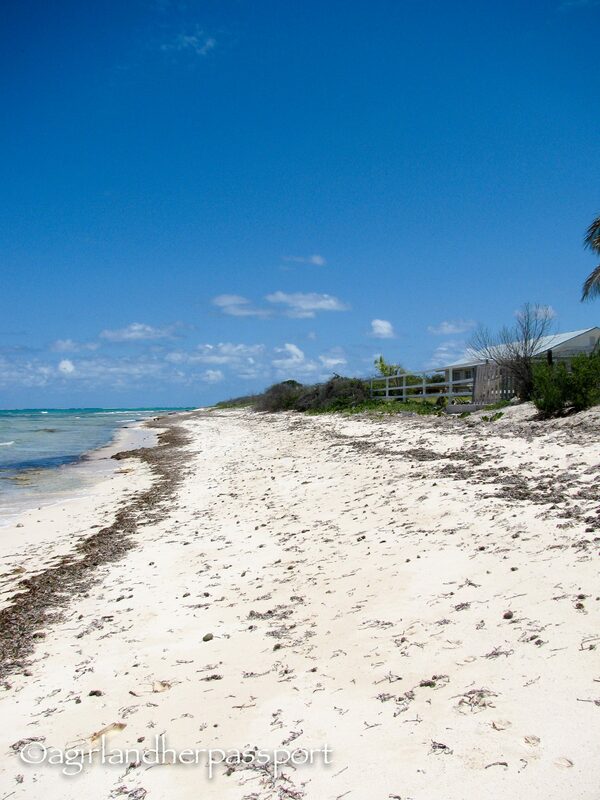 This small beach is very pretty and very popular with the windsurfers and kitesurfers. There are few hotels nearby so you might find an umbrella or two to rent but best be prepared to bring your own. The sand is a nice fine white sand. You will need a car to reach Glyfada beach as there is no bus service. There is a parking lot right by the beach. Alyko is an unorganized beach, but I wouldn’t let that stop you from visiting! 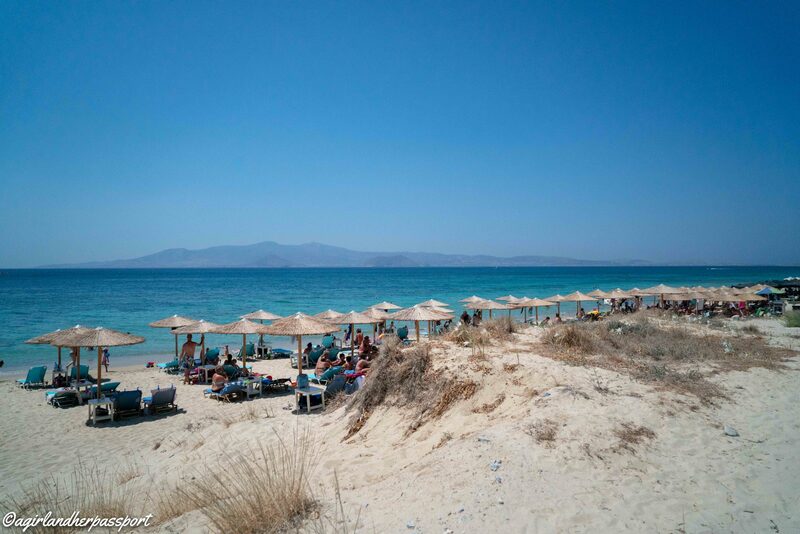 It is one of the largest beaches on Naxos and is made up of three beach coves. 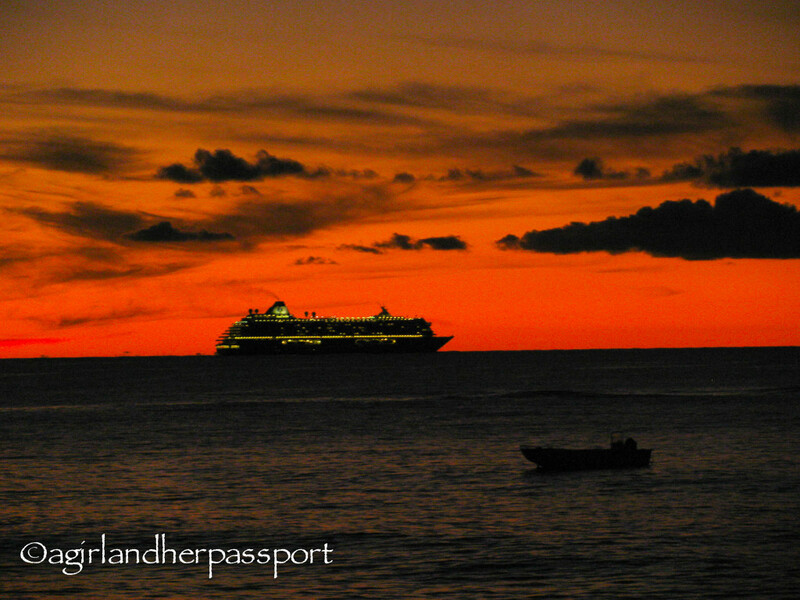 It is less busy than other beaches and offers great views of the sunset. The rocks and cedar trees help shield this beach from the winds. You can reach Alyko by bus. It will drop you at the second beach of Alyko, called Hawaii beach. You can also drive and park along the road or between the cedar trees. As I have mentioned, many of the Naxos beaches are accessible by bus. However, the schedule is different for some seasons, and you should check the website for the most up to date timetables. If you are staying near the beaches and not in Naxos town, you can usually purchase your tickets at the mini-markets near the bus stop. I wish I had booked a week at the beach and then moved to town. Most of the beaches here have hotels or studios to stay in right across from the beach. Click here to check your options and rates. 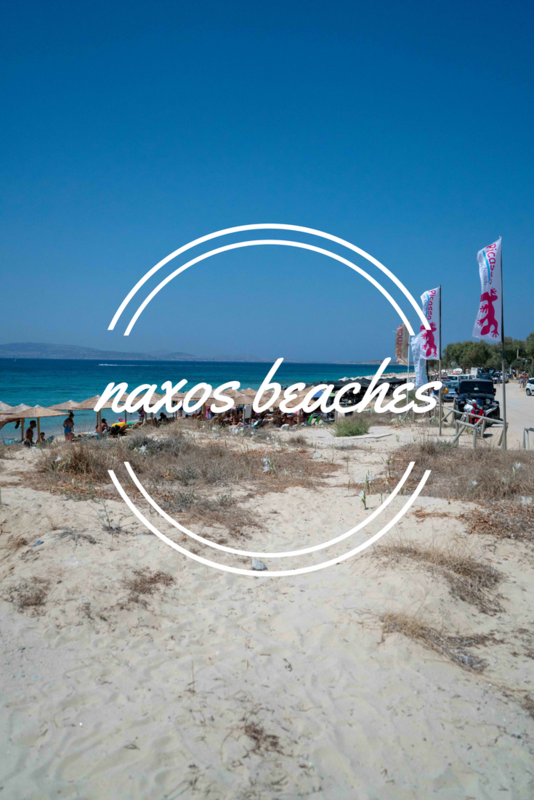 Have I missed your favorite Naxos beach? Tell me which one in the comments! One of my motivations for coming to Ireland was my Irish friend. I knew he would be there the same time as I was and I was hoping for some inside sightseeing info. Well, I just didn’t get info, I got an invite to come and stay at his and his wife’s “beach” house in Tramore. As the Irish would say, it sounded grand! I took the train down to Waterford. 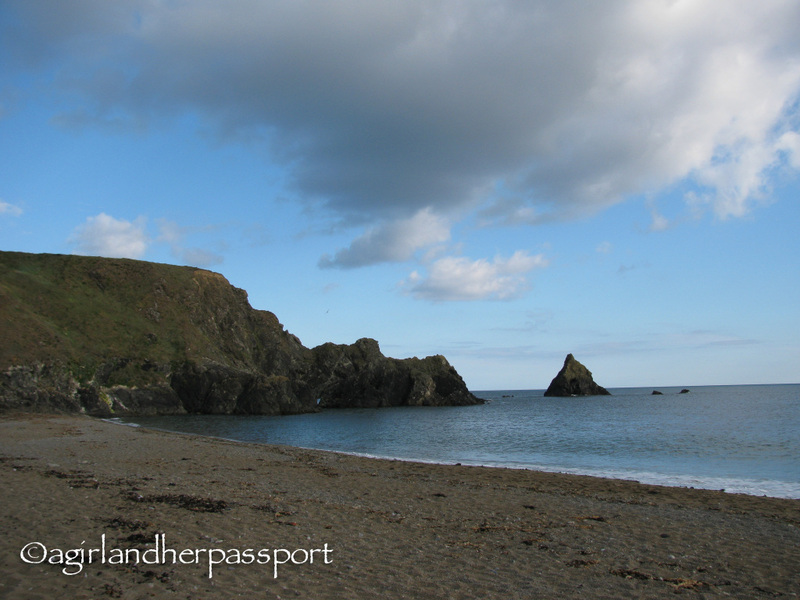 Waterford is the oldest city in Ireland and it was celebrating it’s 1100 anniversary! This town older than many countries including the one I am from and the country I live in. If the name Waterford sounds familiar, it is because Waterford crystal used to be manufactured here. 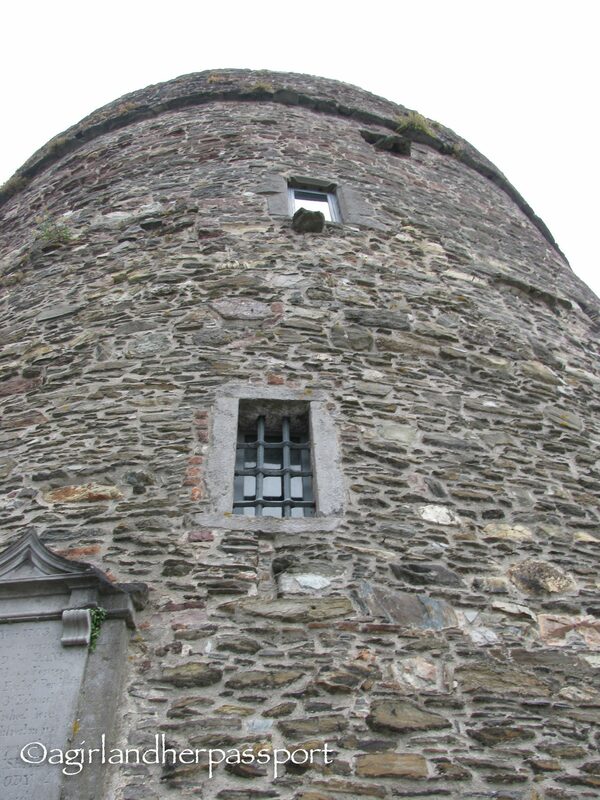 The oldest civic building in Ireland is located in Waterford, Reginald’s Tower. The first tower was built in 914 by the Vikings and was most likely made of wood. The current tower was built in the 12th century with the top two floors being added in the 15th century. It faces the river and would have been a great look out point from its location. Standing in such an old building was a bit surreal as you feel as though you have stepped back in time. I can’t image how dark and cold it must of been at certain times of the year. 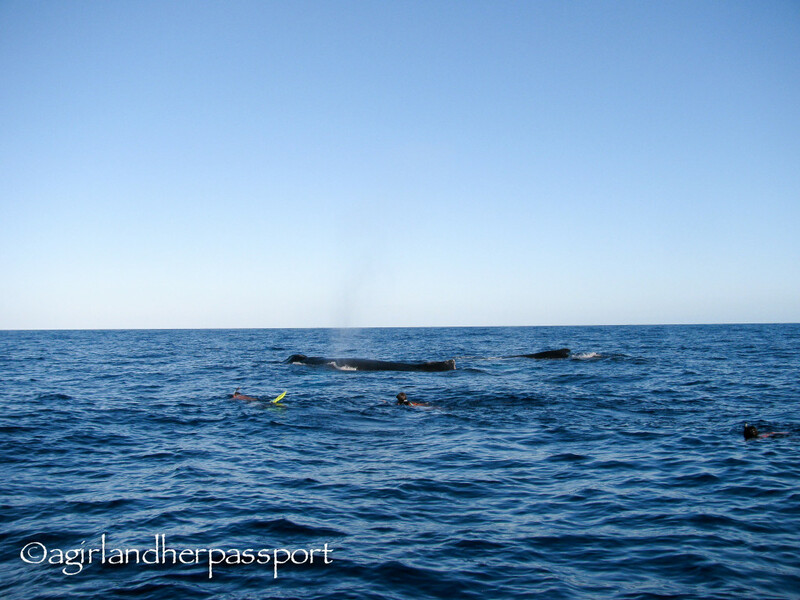 There is lots to see in Waterford. We also went to the Bishop’s Palace and the Medieval Museum. 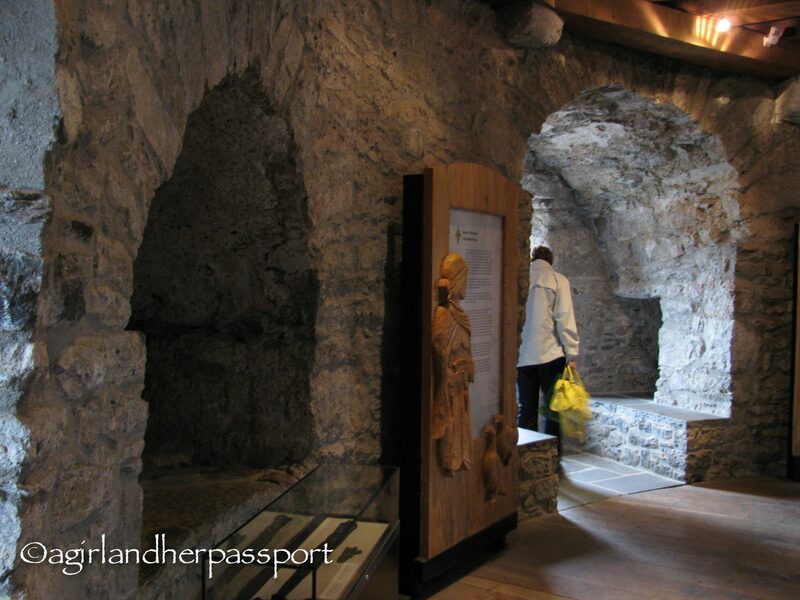 The Medieval Museum was a great place to learn about early Irish history. The Bishop’s Palace had some excellent examples of Waterford Crystal on display and upstairs was an exhibit on the history of Waterford. You can still tour the Waterford Crystal factory, but crystal stopped being produced in Waterford in 2009. I decided I didn’t want to tour it since the factory was no longer in operation and we had two pre-teens in tow. 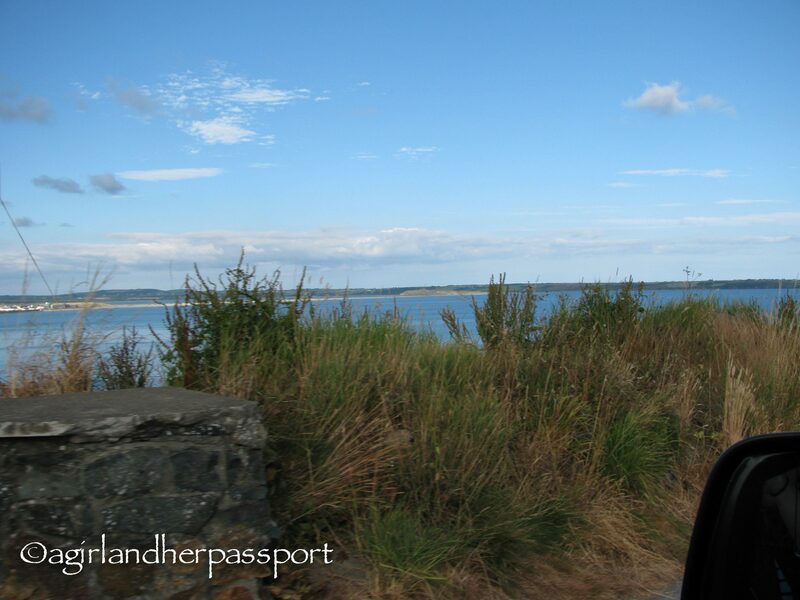 After that, we headed to Tramore, which is only about a 15-minute drive away. Waterford a small fishing village until the railroad came in 1853. Although there is no railroad now, the town survives on being a tourist attraction. 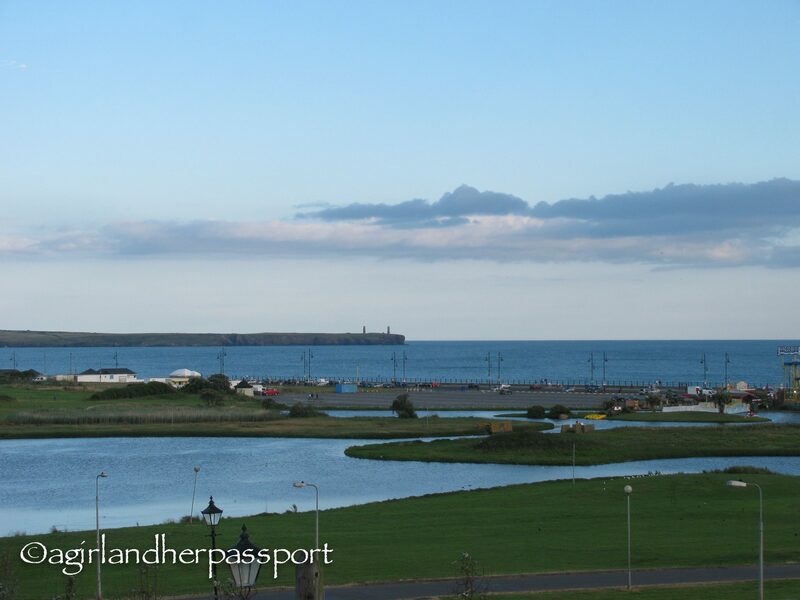 It has a lovely promenade and many surrounding beaches. The Irish are a hardy people as I was there in July and the water was way to cold for me to get into. In fact I had a light sweater on while everyone else went swimming. I did put my feet in so I could say I had been in the Atlantic from both sides! While it was cold, it was breathtakingly beautiful. This was the view from their house looking down toward the promenade! My friend wanted to take me to kiss the Blarney Stone. At first, I agreed, but then his wife was telling me I had to climb a staircase with no handrail and then bend over backward over a hole to kiss the thing! Given my fear of heights and the distance from Cork, I told him to forget it. I am sure I will regret it later. My mother told me that even my 80 something grandmother had done it! Yes I am a whimp. We opted to go see the Cork City Goal. 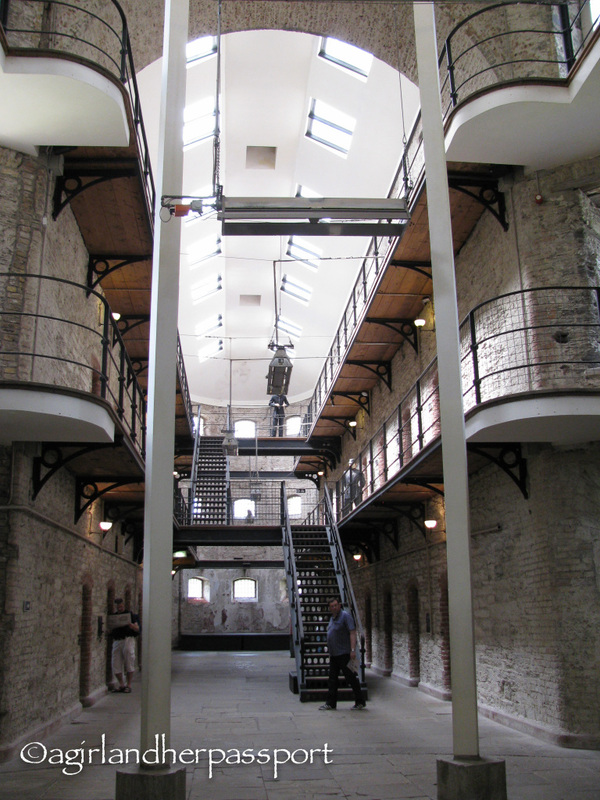 The jail is huge, but only a portion of it has been renovated to allow for visitors to view it safely. While well-lit today, I am sure it was a depressing place to be in the 1800s. The corridor’s that weren’t renovated seemed to give a better sense of what it would have been like. Prisoners were given hard labour and very little food. I highly recommend the audio tour if you decide to take a tour. By the way, the website says you can walk from the center of Cork to the goal, but it was up a hill and my asthma was not happy! Take a taxi up and walk down would be my advice.